Hello there, Internet. Welcome to This Week in Anime, a new weekly column that we’re starting up here on SharkPuppet.com. Each week, we’ll highlight a current series with a mini-review, look at an upcoming physical media release, and recap some of last week’s biggest stories from the world of anime and manga. It’s everything you need to know, served up fresh and concise with our site’s usual helping of insight and bad jokes. Enjoy! A sports anime series only needs a few things to succeed: a likable group of characters, solid animation quality, and a genuine passion for its subject. As far as that last part goes, most titles in this genre focus their enthusiasm on whatever sport the main characters play, but Free’s passions are a bit more divided. Sure, the series captures the adrenaline-pumping rush of competitive swimming, but it’s equally focused on the goal of showing off fit, handsome guys in tight swimsuits. One might assume, then, that viewers who don’t share that passionate interest need not apply. Thankfully, this isn’t the case. Even if good-looking dudes don’t raise your heart rate, the second season of Free! continues its predecessor’s tradition of being a riotous amount of fun. The competition sequences are thrilling, the jokes are funny, and the occasional moments of personal drama feel authentic. 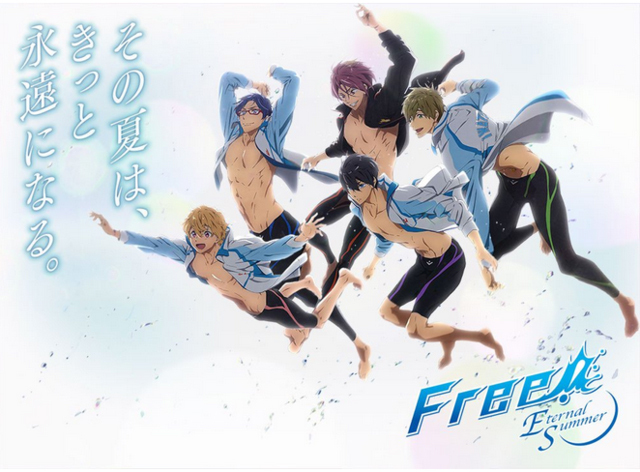 The animation is generally excellent, and the fluid motion on display in the swimming scenes is as handsome as the members of the Iwatobi swim team. I may not be the target audience, but Free! Eternal Summer has still managed become one of my favorite shows this season. Both Crunchyroll and Funimation are running simulcasts here in the US, so give it a shot on your service of choice. 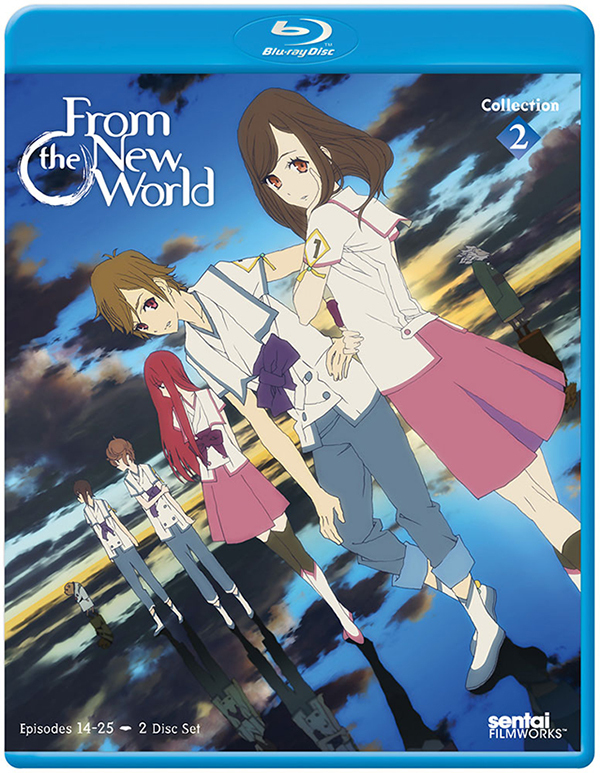 From the New World (or Shin Sekai Yori if you prefer the Japanese title) originally aired back in 2012, and quickly earned a reputation as good old-fashioned mind frag. Kids with telekinetic powers? Check. Flawed, post-apocalyptic utopia full of sinister secrets? Check. Toss in a creepy, mystical atmosphere and you’ve got From the New World in a nutshell. If you enjoy creative science fiction that’s not afraid to make your head hurt, you can now finally own the whole series on DVD or Blu-ray. The second half comes out this Tuesday, and you can get a copy from RightStuf.com here. Stories from this past weekend’s Otakon included some good news for fans of one of the most recognized titles in the world of anime. We’ve known for a while that Funimation picked up the license for Cowboy Bebop, but no one could say for certain what form the eventual rerelease would take. On Saturday, the company revealed that Bebop will be out this December on Blu-ray and DVD, with both standard and premium editions available. No word yet on what we’ll get in the fancy version or how much it’ll cost, but at least we’ve finally got ourselves a timeframe. 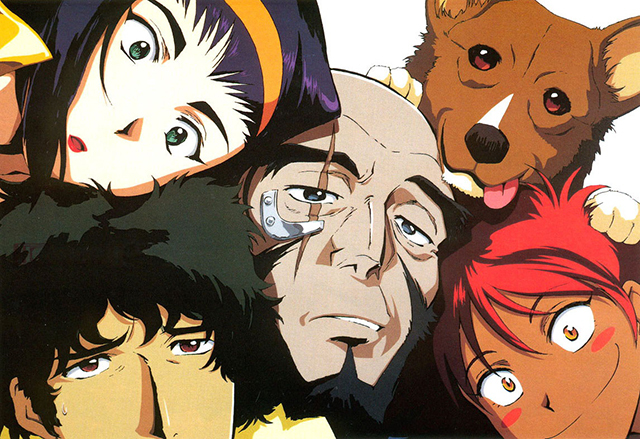 Even without the Cowboy Bebop update, it would’ve been a good week for iconic franchises. 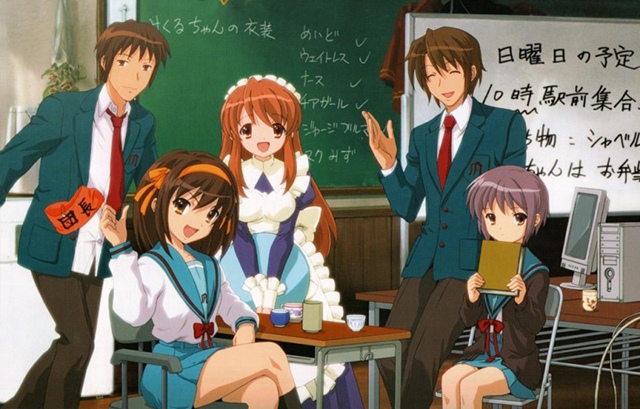 Funimation also announced that it has acquired the licenses for The Melancholy of Haruhi Suzumiya and Lucky Star, both of which had been in limbo after Bandai closed up shop in the US. You want high school kids having crazy adventures while poking fun at otaku culture? You got a whole herd of ‘em. Still not enough nostalgia for you? Crunchyroll announced they’ll start streaming Cardcaptor Sakura in both Japanese and English this Tuesday. Rerelease ALL the old shows! On the other end of the old/new spectrum, there’s a Kickstarter campaign underway for a sci-fi anime project called Under the Dog. With a production staff that includes several industry veterans, it’s got plenty of potential. Will they manage to raise all of $580,000 by the deadline? Only time will tell. Just under four weeks’ worth of time, if you want to get technical about it. Go give ‘em some money. That’s it for now! Come back next week for another round of information overload. TV Stereotypes: How Much Is Too Much? Welcome back to Channel Chaser! Recently I’ve been watching a new show called The Last Ship, an apocalyptic drama series on TNT that airs opposite Fallings Skies–a show you’ve already heard me talk about in this column, and not in a good way. 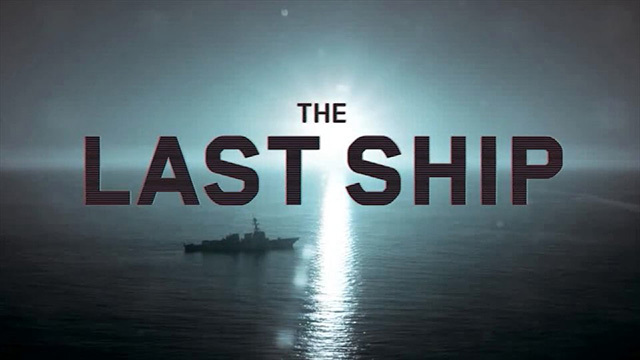 While I’m sorry to report that The Last Ship is not a great show either, and in fact shares many of the characteristics that make Falling Skies similarly weak, one thing that really sticks out about it is a heavy reliance on traditional race and societal stereotypes. And given a slew of new shows that are scheduled to premiere soon that, in my view, use the same kinds of tactics in order to create humor, I thought this might be a good time to talk about the prevalence of stereotypes on television. In the case of the drama-driven The Last Ship, it’s a relatively open and shut case. The main cast, almost all of them true-blue American military men and women, are isolated on a naval vessel in the middle of the ocean as they travel the world and attempt to find a cure for a disease that is ravaging the rest of the human race. They are portrayed as the last bastion of “civilized” society on a planet that has more or less gone down the tubes into anarchy and violence. From the start, the show has such an obvious pro-America message that it’s almost laughable. The characters go on and on about U.S. values, freedom, duty, and democracy to such an extent that the show might as well be a poster board for the idealized American military. Additionally, the villains they encounter on an episodic basis are incredibly, and sometimes in my opinion offensively, stereotypical: a group of escaped and incompetent Arab terrorists at the Guantanamo Bay facility, a Central American drug lord who also deals in prostitution and other unspeakable services, and of course the obligatory Russian separatist forces who are more or less the show’s main bad guys. I mean, come on. Russians? Is this the 70s again or something? 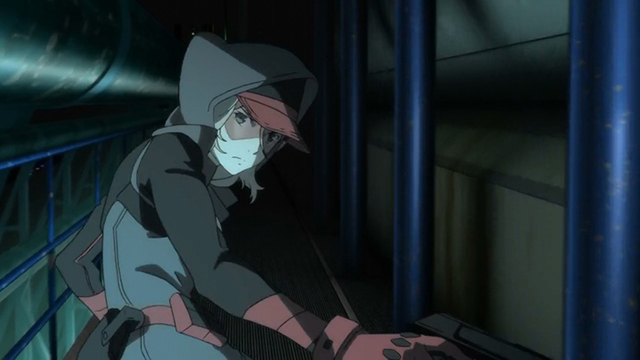 While I acknowledge that this choice of villain might be because of the show’s source material (a book written during the Cold War era) or to reflect present-day tensions between the U.S. and Russia, it seems to be an outdated metaphor that is reinforced by the show’s image of the American ship–i.e., the last outpost of good–against those dastardly, scheming Russians. Get real, Michael Bay. Seriously. I’ll give you that this may be an extreme example of admittedly bad television, but I couldn’t help but notice after doing some further research that it seems to be part of a rather uncomfortable trend. Even more disturbing, most of the shows that use these unfair and inaccurate stereotypes do it only for the sake of getting laughs. Exhibit A, in my book, is the sitcom The Big Bang Theory. While it is an extremely popular show that to many represents a heroic uplifting of geek culture, I would beg to differ with this analysis. If you start watching more and more of the show, you come to realize that the jokes aren’t funny because they are crafted for geeks or because they glorify the protagonists, but rather because they make fun of these things at the expense of the people they are supposed to represent. You can see that when Leonard and Sheldon have some kind of funny moment due to something stereotypically geeky, like Dungeons and Dragons, it’s not funny because it’s clever; it’s funny because they’re playing Dungeons and Dragons like a bunch of geeks. In the end, The Big Bang Theory ends up being much more exploitative and just plain mean than it does humorous. And that’s not my only example, either. 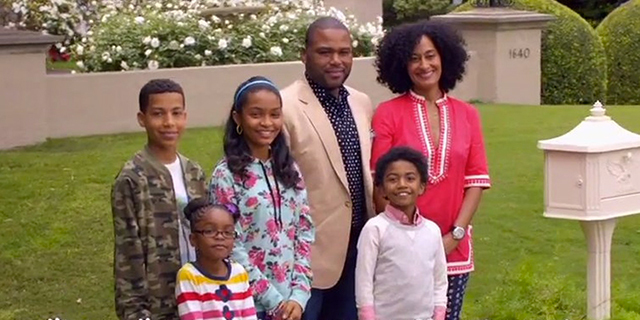 Among the rush of new fall sitcoms for this year are titles like Black-ish, Fresh Off the Boat, and Cristela: shows about a suburban black family, a group of Asian immigrants, and a Mexican-American law school graduate’s life respectively. Even before they have premiered, people in the TV community have started to question whether these programs are expanding horizons or just being pushy. Maybe I’m just being a nasty old cynic, but I can’t help but question this interpretation of things. What does it mean for a black family to be struggling with sticking to their roots and keeping their culture just because they have money? And what does that mean the definition of black culture is to these people? I’m troubled by the notion that black “culture” usually doesn’t involve being rich, well-adjusted, and living in the ‘burbs. Even the show’s title seems to be a questionable choice at best, and a borderline racial insult at worst. The creators of these shows have fired back at critics, saying that some of the programs are based on real events in the lives of people of these various races and nationalities and that this makes them politically correct. They also argue that just because a show centers on one particular group, it shouldn’t mean that it’s not socially acceptable to talk about the unique issues facing them. I’m not saying I question the motive and the intention here: bringing more diversity to television and sharing stories that don’t usually get airtime is a noble goal. I’m just saying that when you’re producing these kinds of shows–especially with a humorous context in mind–it can be far too easy from a creative standpoint to fall into hurtful and destructive stereotypes just because they are “easy” from a writing standpoint. Walking the line of situational television is all very well, but people need to be careful about when, where, and how they choose to cross it so that it doesn’t do more harm than good. 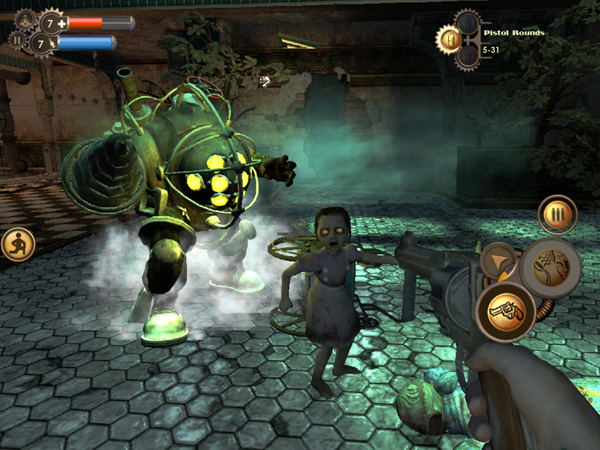 BioShock for iOS is a Bad Idea… Or is it? The first thing I thought about hearing this news is how porting BioShock to iOS will significantly diminish the game’s quality, in terms of both graphics and gameplay. One of the first things you will notice watching footage of the game is how much of the screen is taken up by the new HUD elements that aid in the new touch screen-based controls. If you don’t think the extra buttons take up too much space on the screen, then wait until you put your thumbs on it. Even if you took advantage of the game’s Bluetooth controller support the HUD would still be in the way. You won’t be able to properly marvel at Andrew Ryan’s magnificent underwater dystopia with all of that in your way. This is especially true if you buy the game for your iPhone, where you’re dealing with a screen that is significantly smaller than the iPad. While many of the lines are still sharp, graphics also took a hit in the mobile port of BioShock. In order to reduce the amount of space it will take up on the devices, much of the lighting effects are removed, making the game significantly brighter. Die-hard fans like myself will tell you the game is meant to be dark-toned, and players should even go so far as to play it in a dark room to fully embrace the survival-horror elements of BioShock. I guarantee these lighting changes will make some of the game’s many Splicer jump-scares far less dramatic. There may be a positive side to this 2007 classic getting an iOS port, however. If you’re able to bear with the annoying touch screen controls and lighting tweaks then there is an amazing game underneath. I am now speaking directly to those who may not have played the original BioShock yet: you will not find a better story in a first-person shooter. This game has some amazing writing, superior voice acting, and some of the best characters developed for a video game. Additionally, you get to envelop your senses in one of the most fantastic yet believable fictional worlds ever conceived: a once-beautiful underwater paradise, now quickly dilapidating after a long war. And you get to explore every nook and cranny of this mysterious place as you piece together just what happened to cause such a beautiful place to become a ruin. If you are one of those gamers who have not played BioShock before, I would recommend playing it on console or PC first, but hey, if mobile is your preferred platform then now you have a chance to play this amazing game on your platform of choice. While I may not be a fan of playing first-person shooters on iPad or iPhone, I’m happy knowing that people who do prefer those devices as gaming platforms now have the chance to play one of my favorite games. And for those who have played BioShock on console or PC originally, it does sound tempting being able to carry one of the greatest video games of all time in your pocket. While combat may be difficult with those new controls, at least you get to revisit Rapture, and perhaps even catch some details you may not have noticed before with the help of the slightly brighter lighting. And the best part is the full game is available after a one-time payment. If they seriously added microtransactions to the game, that sure would take BioShock’s application of Ayn Rand’s philosophy into the real world, now wouldn’t it? Welcome back once again to Channel Chaser! I’m always on the lookout for a good comedy show, especially one where the characters involved are developed as well as in your typical drama. Unfortunately, this kind of quality is usually hard to come by nowadays because comedies tend to focus on the humor at the expense of the characters, simply using people as a vehicle for jokes and nothing more. But here’s a wild idea. What if there was a show that not only spanned the lives of one group of characters, but those of several generations after them as well? And in spite of this theoretically massive shift in setting, tone, and casting, what if it could still remain as funny as it ever was? If you’re interested, read on. I may have just the show for you. In 1983, the BBC debuted a strange and oddball sitcom called The Black Adder. The show starred British comic Rowan Atkinson–later to be best known for his characters Mr. Bean and Johnny English–as Prince Edmund, the Duke of Edinburgh, during an alternative-history reign of the fictional King Henry IV. As a weak, cowardly, and not altogether bright man, Edmund is often forgotten and taken advantage of by his father, his brother, and other court nobles, which inspires him to create a dangerous new persona for himself as “The Black Adder.” Under this new and somewhat inaccurate banner, Edmund enlists his sidekicks, the atypically cunning peasant servant Baldrick (played by Tony Robinson) and the idiotic nobleman Lord Percy (Tim McInnerny) in his various schemes to improve his standing–or failing that, just to make a lot of money. While he doesn’t really have that many redeeming qualities, what Edmund does have is a sense of modern perspective toward the various events of the Middle Ages period, in that he alone often recognizes how ridiculous they are and makes fun of them to anyone who will listen–which, granted, isn’t that many people. This element of the Black Adder’s character carries over into the series sequel, Blackadder II, in which Atkinson once again appears as Edmund Blackadder, Prince Edmund’s great-grandson, who has adopted his forefather’s self-imposed title as his surname. Blackadder, now a lord in Queen Elizabeth’s royal court during the 1500s, must contend with the Queen’s fickle moods and his rivals for her affections, all the while scheming to better his own personal situation. Thus begins the long lineage of the Blackadder clan through two more period comedy shows: Blackadder the Third, in which Atkinson plays Mr. Edmund Blackadder, upper-class butler to the Prince of Wales during the Regency years of the 1700s; and Blackadder Goes Forth, featuring Captain Edmund Blackadder in the trenches of World War I, as well as a slew of TV movies and specials in which Atkinson reprises his title role. In this way, Black Adder acts as a sort of reverse character development, in that the characters themselves do not change overmuch, but the focus of humor is rather how each of the successive Blackadders adapt to whatever time period and social situation they find themselves in. Each Blackadder is also accompanied by a respective generation of the Baldrick family, always Blackadder’s servant and always played by Tony Robinson. 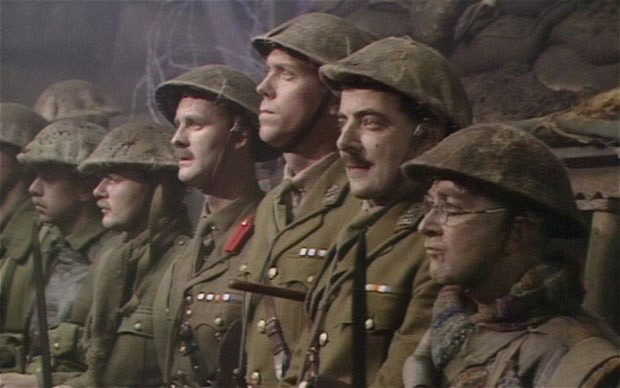 With each generation, Blackadder’s intelligence is seen to increase notably, just as Baldrick’s street smarts decrease, and while both of their places in society grow lower and lower due to Blackadder’s unlucky streak and poor choices of company. Other actors such as McInnerny, Stephen Fry, and Miranda Richardson also star in multiple series as similar versions of descended characters. The most notable recurring actor, outside Atkinson and Robinson, may be Hugh Laurie (yes, he did things before House) as a lineage of incompetent yet upbeat young aristocrats including George, the Prince of Wales and Blackadder’s master in Blackadder the Third and Lieutenant George, Blackadder’s right-hand man, in Blackadder Goes Forth. Half the fun of watching the show for me was seeing Laurie do the kinds of ludicrous comedy that Black Adder calls for. Having seen him do many more serious roles before, it never really occurred to me that he could be funny and get the kinds of laughs that he does during the series run. 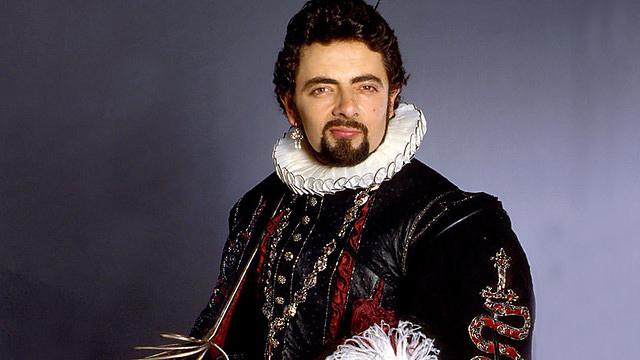 The Blackadder character changes greatly between the first and second series, with Blackadder becoming a charming, handsome and skilled rogue rather than an unattractive weakling. What doesn’t change, though, is his outlook on life: through all his later incarnations, Blackadder remains cynical and self-centered, with a Machiavellian outlook and frequently criticizes “current events” such as the creation of the dictionary, Sir Walter Raleigh’s exploration of the New World, and the total futility of trench warfare. Overall, the show takes a lot of cues from Monty Python-style humor, and is hysterically funny on a very consistent basis. Much of this comes from Blackadder’s formation of clever cons to advance himself, only for them to blow up in his face and force him into frantic damage control mode due to the stupidity of the people around him or just plain bad luck. Black Adder struggles a bit to find itself during its first season, but improves greatly in the second and hits a magnificent stride in the third and fourth. Because of how short each series is, this makes it a relatively quick watch and overall a highly enjoyable experience. Let’s just say there’s a reason why this show was voted the second-best British sitcom and the 20th best TV show of all time. Black Adder’s triumph is establishing a fascinating and funny anti-hero main character who makes you root for him in spite of his essentially unlikable nature, and while his various sidekicks may be boorish or dull, they too have traits that will slowly endear them to the viewer as well. I truly believe that this is a sort of comedy that will go down in history–possibly in more ways than one.